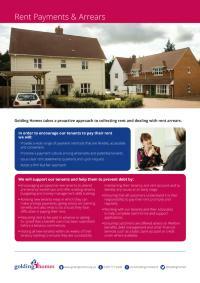 Here you will find a list of our advice sheets which we hope you will find useful. If you require a printed version of a particular advice sheet please contact the PR & Communications Team and we will be happy to send a copy in the post. 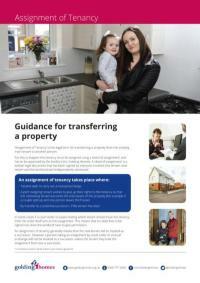 If you wish to transfer a Golding Homes property from the existing main tenant to another one then this Advice Sheet will help you. 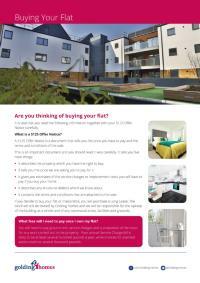 If you are thinking of buying your flat please read our Advice Sheet. 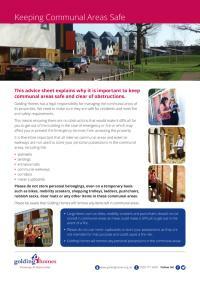 Our Advice Sheet explains why it is important to keep communal areas safe and clear of obstructions. This advice sheet gives helpful hints and tips on how to reduce condensation and mould within the home. How to reduce the risk of fire and the action to take should a fire occur. 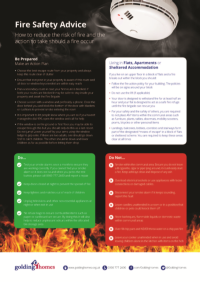 Please also read our Fire Regulations FAQs. 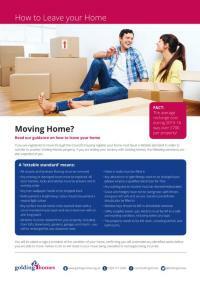 Moving Home? 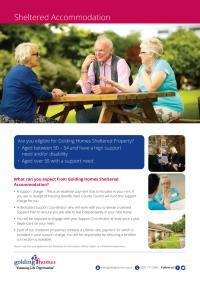 Read our guidance on how to leave your home. 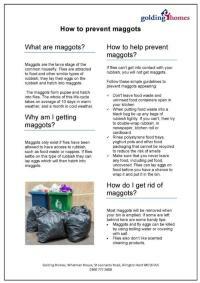 Find out how to prevent maggots from appearing in your rubbish bins. 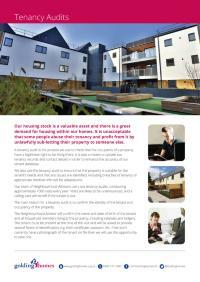 We hold a Risk Register which we use to hold detail's of tenants that have acted inappropriately. Find out more by reading our advice sheet. Golding Homes has a policy whereby we can refuse to offer accommodation to enable us to prevent and tackle anti-social behaviour. 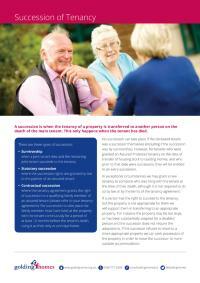 Our advice sheet sets out the policy in an easy read format. 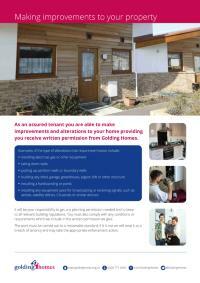 Assured Golding Homes' tenants are able to make improvements to their home. 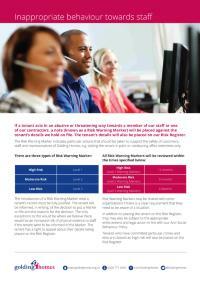 Read our advice sheet for guidance. If you would like to keep a pet then we ask that you complete a Pet Application Form. 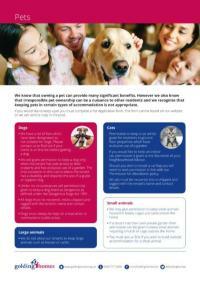 Our advice sheets gives you guidance on which pets are acceptable to keep in a Golding Homes property. 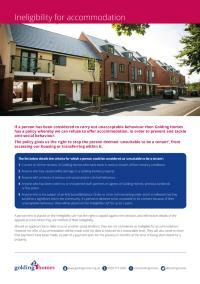 Are you eligible for Golding Homes Sheltered Property? Succession is when the tenancy of a home is transferred to someone else on the death of the main named tenant. We carry out regular tenancy audits on our homes to check that the people living in the properties are the rightful tenants.